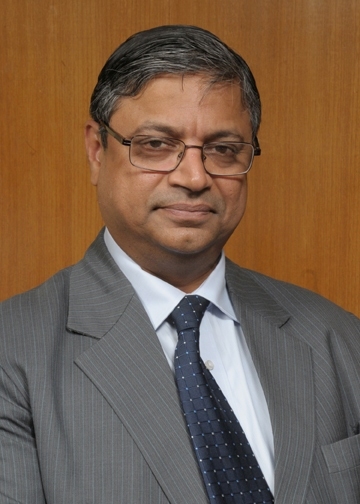 A day before the hearing of the politically-sensitive cash- for-vote case in which Union government is to submit the status report to the Supreme Court, the law ministry has accepted the resignation of solicitor general Gopal Subramanium. Subramanium had assured the court that he would submit the report on Friday. Serving the UPA government since it came to power in 2004, 57-year-old Subramanium’sfate was visibly sealed on Wednesday when newly appointed Law Minister Salmam Khursheed weakly remarked that he would examine the matter but “a lot of water has already flown under the bridge”. It is learnt that Khursheed and Subramanium, two old friends, had a lengthy meeting last night and various solutions that could save SG from the ‘self-created’ crisis. Later in the afternoon, Khursheed briefed the PMO about the unsuccessful ‘meting’. It had been suggested to Subramanium to accept the appointment of Telecom minister Kapil Sibal’s belated choice Rohinton Narimanto defend the ministry in the2Gspectrumallocation scam that, according to CAG, cost the exchequer, Rs 1.76 lakh crore, while for Sibal there was ‘zero’ loss. However, Subramanium, whose decision hasbeen lauded by a section of bar and jurists, including former CJI J S Verma and former SC judge Santosh N Hegde, said ‘’the dignity of the high office of the law officer must be protected’’. He had earlier met President Pail and Prime Minister Manmohan Singh, who told him to stay on but SG continued to absent from the court. Perhaps, his interaction with the media boomeranged. Veerappa Moily had talked to him to persuade him not to quit but he insisted on doing so. Subsequently, the government took a tough stand and made it clear that it would no longer persuade him. “I leave the office of the Solicitor General of India with pride. I am grateful to God that I had this opportunity (to serve as SG),” Subramanium told PTI when contacted.